Astral People are pleased to announce a Sydney club show for the ages - Anthony Naples (US) & Ben Fester ~All Night Long~ Friday 15th March at Civic Underground. 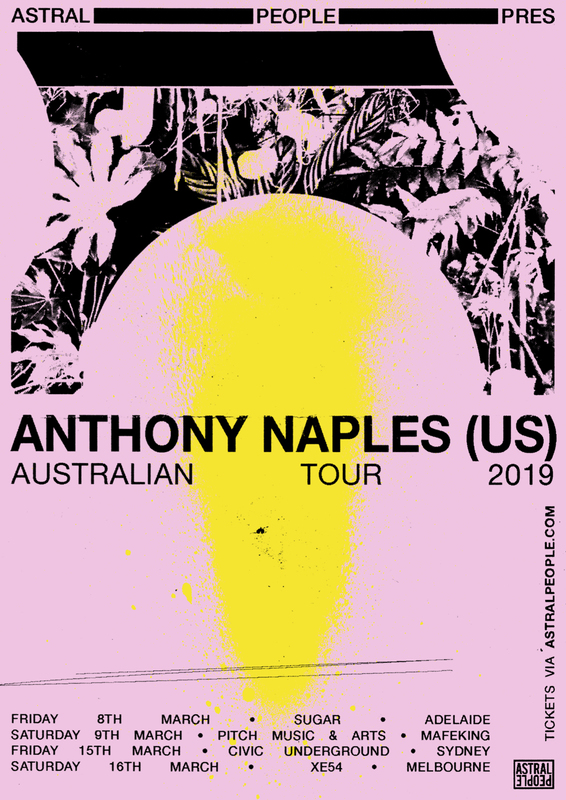 This party marks the return of New York producer & DJ Anthony Naples, who, alongside a huge set at Pitch, will be playing club shows in Adelaide, Melbourne, and of course, Sydney. Anthony Naples, originally from Miami, Florida, is making waves as a multi-faceted force to reckon with - not only is he a talented producer, musician, and DJ, but head honcho of the forward-thinking Proibito Records. Drawing inspiration from the Miami Bass movement and experimental house scene, Naples' 2018 LP Take Me With You is a vivid & rich melting pot of influences & references from his hometown. Described by FACT as a "dubby ambient house album", the record manages to interweaves movements of the past, while sounding & feeling as fresh as ever. Having released tracks on Text Records, The Trilogy Tapes, Mister Saturday Night Records, Rubadub, and his own label Proibito, Naples is a talent that shows no signs of slowing down. Don't miss this NYE powerhouse alongside our own local star Ben Fester for what is set to be the club night of the year.